We just launched the AMP HTML download feature in Bannersnack, to keep you updated with the latest web technology and help you create the best ads. Let’s find out more about what The Accelerated Mobile Page Project is, how it can help your ads perform better and convert. 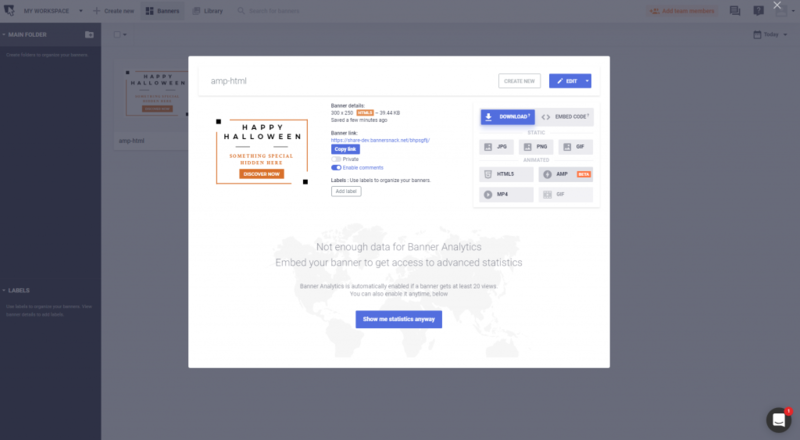 As a bonus, we’ve also included some cool examples, a list of advantages and a guide on the fastest way to build AMP HTML ads with Bannersnack, without any coding skills. The AMP Project launched in October 2015, so we just celebrated the 3 years anniversary of this amazing technology. Since then, it’s been adopted by most publishers, developers, and advertisers to provide a smoother online experience for their users. Ads that load faster, look cleaner and engage better have always been a goal for all advertisers. And since Google made HTML5 or AMP HTML mandatory for most advertisers in their Ads platform, their popularity is increasing. Here are some examples of mobile ads where you can see how fast this type of ad loads next to a regular ad, to give you an idea on the level of optimization and speed. This open source project aims to make users mobile experience smoother and faster. The web pages or ads published in the AMP format load much faster than the standard HTML pages, it feels like they load near instantly, giving users a more engaging experience on both mobile and desktop environment. As mobile traffic keeps increasing, the attention span of users also reduces gradually, so the need for a faster protocol is obvious. Also, users tend to leave slow loading websites even before getting the chance to see their content. Even more so, Google’s studies show that every additional second of load time represents a huge 20% dip in conversion rate. This means that no matter how great your content is, users will leave your site immediately if it loads slow, even before they have a chance to take a look at it. According to Google, a page that loads slowly is also one of the strongest reasons for a higher bounce rate. And this is where AMP technology comes into play: pages load in under a second, so the user won’t even notice the load time and stay on the page longer. 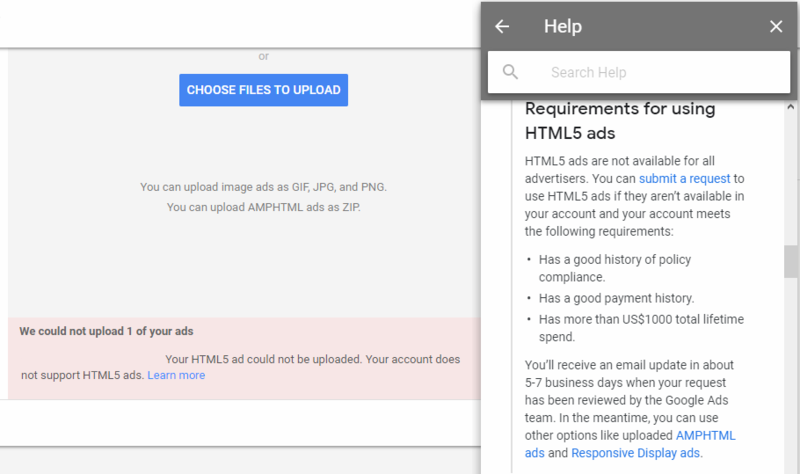 Now AMP HTML Ads became mandatory for most publishers since you can only use HTML5 Ads if your account meets some requirements. What are AMP HTML Ads? The same statements about page speed and the user’s reaction are true for ads, they don’t convert unless they are noticed at first glance; and although AMP pages do support traditional HTML ads, they can load too slow on mobile pages and ultimately fail to engage and convert. To make ads themselves as fast as the rest of the AMP page you are advertising on, you have to build your ads in the same language as the rest of the page, using the same specific markups and limitations. 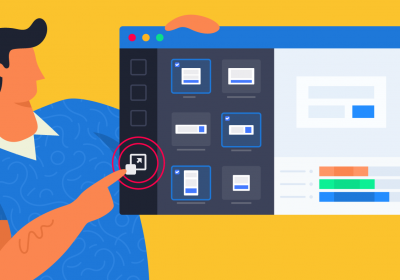 The technology supports multiple forms of ads, from classic banners to sticky ads, flying carpets, and even video ads, so you don’t have to change the way you advertise, and you can still use the most popular types of ads on the display network. Here’s where you can read more on the availability of the AMP Ads features in Google’s ad manager. But if you don’t have the time to learn how to code, and you are looking for a faster way to convert your ads to AMP HTML, we’re here to help. Yes, there’s a faster way to transform or build AMP HTML ads without using any code. All you have to do is use Bannersnack, and you’ll be sure to get a fully compliant, ready to use AMP banner for your marketing campaigns. Create an account on Bannersnack, or sign in to your existing account. Download the banner as AMPHTML or copy the embed code provided by us. Remember, Amp Ads have some limitations given by the technology itself so you won’t be able to access some of the features the way you used to. When saving and downloading, some settings like the loop, blur effects, action URLs or embed items will be ignored from your final download. Custom fonts must be converted into SVG to be saved in your design. You can read more details on how to save your Bannsresnack file in the Amp format here, on our AMP Help Page. 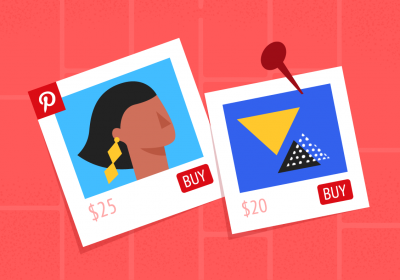 Not convinced on why you should use the new Ads for your campaigns? Just read on to find out what are the main advantages of using this type of content and how it can boost your ads engagement rates and conversions. In the age of the internet, it’s all about speed, but there are other reasons you should consider switching to Amp Ads, like security, compatibility and a higher engagement rate. AMP HTML ads are highly optimized, that’s why they can load up to six times faster than other types of traditional ads, offering a much better user experience. As the speed of the rendered ads increases, so do the chances of people seeing your ad; this means you can use marketing budgets more effectively and have a higher rate of success with your campaigns. Also, if the experience users have with your brand is seamless, the next benefit comes into play! A fast ad is a high converting ad, since the chances of people bouncing increase as the load time gets higher. This way, with faster loading ads, you have the chance to maximize the conversion opportunities. There is also another benefit for advertisers: since Google AMP Ads have better click-through rates, they could also receive a higher quality score and lower cost per clicks. Security is a top priority for the project’s developers, that’s why AMP banners code is stripped down to the essentials. This way you can make sure that amp ads will always be malware free. Also, AMP HTML ads are only delivered after being validated, ensuring that the ads are secure and performant. These ads can be delivered anywhere on the web, not just on AMP pages. The AMP library and built-in elements aim to support a vast range of browsers and are supported by many different platforms. AMP HTML ads are designed to work on both AMP and non-AMP web pages, as well as across any device. AMPHTML ads combine commonly used ad functionality, which considerably reduces the ad’s file size. Once on the page, AMP HTML ads also consume fewer resources. For example, instead of 10 trackers requesting their own information from the regular ads, AMP HTML ads collect all the data once and distribute it to any number of trackers. 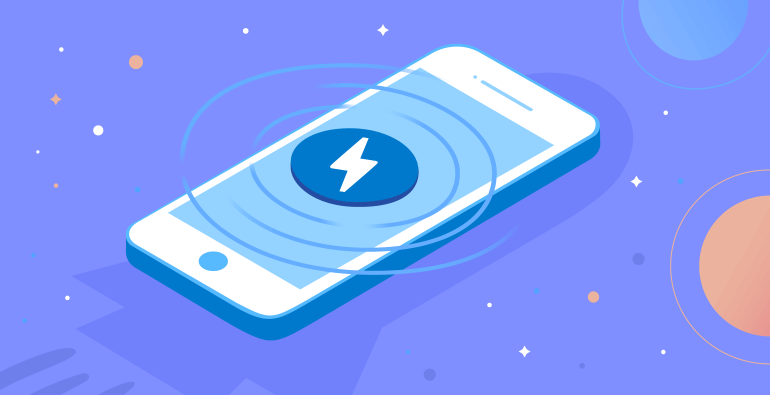 On AMP pages, the ad runtime can be coordinated with a mobile phone’s limited resources, giving users the best experience even if the internet is slow. Animated ads are paused when they are not in the current viewport, to better optimize the resources. Users can’t engage with ads they can’t see or that are too slow to load. Faster ads lead to higher viewability and therefore higher click-through rates, which ultimately leads to better ad performance. So, now you know more on AMP HTML Ads, how they can help you convert better and ultimately why Google is pushing their use towards publishers and advertisers. Keep in touch, we’ll be back with more interesting ways to use the AMP technology and cool examples. This is absolutely amazing! I cannot WAIT to start using this product. Great job Bannersnack team!!! your post is quite nice to fresher html coders because they can easily learn main points from your this post & i’m gonna share your post to my social channels for knowledge. Thanks, guys! So glad you enjoyed our product update! Stay close for many more interesting features! Hi, Augusto! Yes, AMP Ads do have some limitations, but we feel they also have lots of advantages for the advertisers and users as well.